Gregory Keen is an agent with MI-5. With the imposing name of Gregory George Athelston Keen is a serious, determined former Major in the British Army, now an experienced agent in Special Service of Home Security, or MI-5 as it is more commonly known. Little of his background is mentioned although in passing it is obvious that he had served in Military Intelligence during WWII. He is single with a good eye for the ladies but not one to let a pretty leg sway him from his task. Based on his activities, Keen is a very good detective in addition to being a trained agent. His methodical process of studying the evidence and coming to the correct conclusion is demonstrated clearly. Backing him up on his missions is the junior but still dependable Agent Coutts with whom Keen has a good relationship. 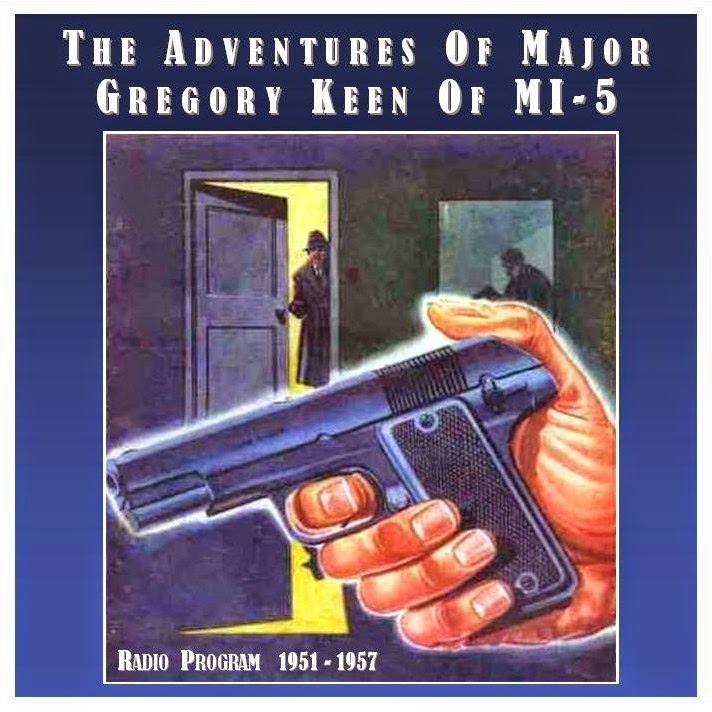 The Australian radio serial entitled The Adventures of Major Gregory Keen of M.I.5 that ran from 1951 to 1957. Each program ran a short 12 minutes long but there were an impressive 104 episodes in each adventure, making the entire case last 20 hours. These links seem to be broken/not working. Links for Gregory Keen Series (AU) are not working.